If you have any questions or want to enquire about dates, use our form to contact Nick Flynn or see their website for more information. Away from holiday villas, in wonderful seclusion, are an old finca and a new casa, surrounded by sunflowers and hay bales: choose your season! Huge cañas (sugar canes) wave at the end of the field where the stream lies, and in the distance are the mountains of Grazalema. Nick and Julia, lovely people, live on the finca’s ground floor with two bouncy dogs and two little boys, and are a mine of information. Each building is attractive in its Andalucian simplicity. The apartment is on the second floor of the farmhouse with access from the back, and the décor is Moorish and delightful. There are thick walls and beams, low doors – mind your head! – and an impressive roof terrace for barbecues and views. The new casa, spacious, attractive and all on one floor, has its main (wheelchair-friendly) bedroom opening to a willow-shaded terrace. The style is understated, the kitchen is fully equipped, and railway sleepers above the windows add to the rustic charm. 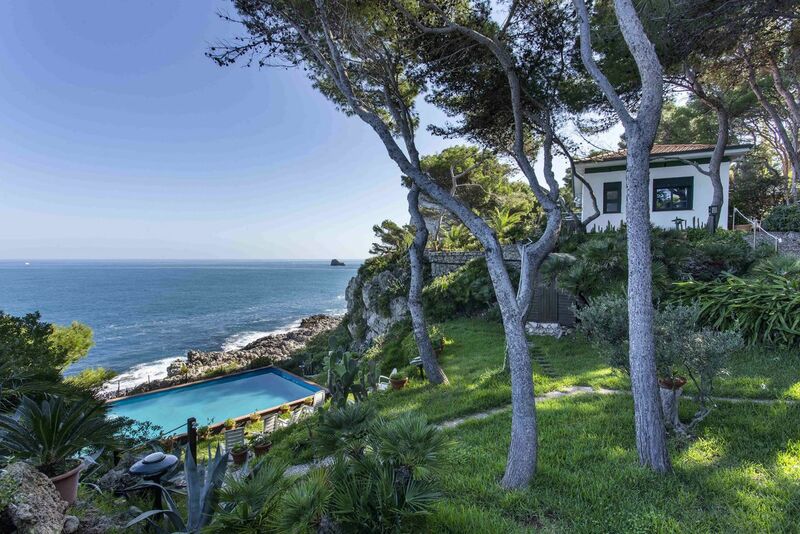 Alongside is the pool – large and fully fenced. Lots to enjoy: ping pong, bikes, sauna, gym, wild swimming… and Ronda, the obvious attraction, an easy ten-minute drive. Minimum stay 7 nights in high season. Cots available. Pets by arrangement. Sauna available on the premises. Charming rural location and with Ronda close by. Large swimming pool so perfect for families. Nick and Julia are welcoming and informative of local area and further afield. 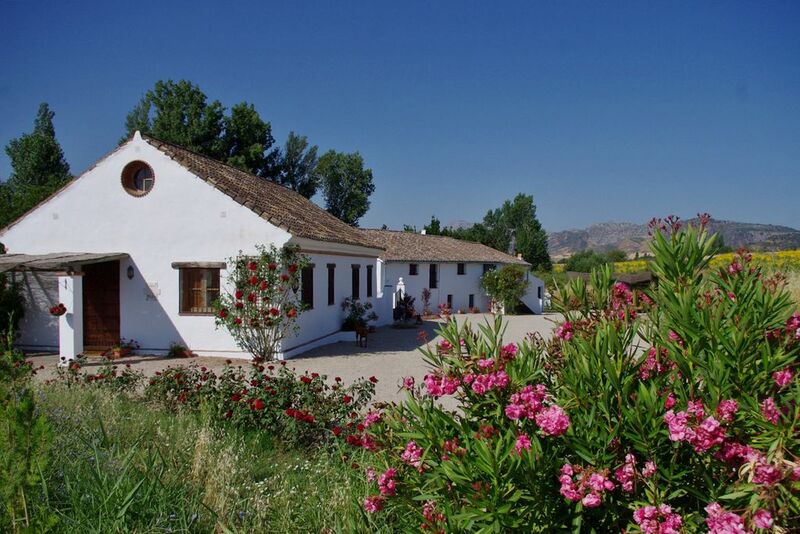 Our favourite homestead in Andalusia! Loved the authentic style “Caseta” nestled in the Ronda valley. Some days it was a wonderful retreat just to hang out & relax in. The kids especially enjoyed the swimming pool & were in good company with Nick & Julia’s pre-teens. It was also the perfect base to return to after exploring the wonders of Andalucía such as nearby Ronda & Granada etc. We’ve booked ourselves in next year to broaden our knowledge of this amazing part of the world. Great place! Private, beautiful grounds and pool, all the amenities, comfortable beds, short drive to town. Perfect for families, especially with young children. Friendly and accommodating hosts. Highly recommend! Wonderful hosts with a great knowledge of the area. Comfortable, relaxing, family friendly and a fabulous pool. Ronda is beautiful and very close. A wonderful family retreat, the pool is simply lovely and the casita has been furnished to a very standard. Nick and Julia are very welcoming and we all had a great holiday. Consistently voted the best town in Spain fabulous Ronda with it's iconic gorge, ancient bull ring and timeless old town is a short 10 minute drive away. Amazingly inventive tapas await but you'll have to know where to go so just ask us...!! There's something rather magical about swimming in rivers and here in Inland Andalusia you are surprisingly spoiled for choice. Good old-fashioned 'Swallows and Amazons' await so we've put together a guide to the best ones. See Finca Retama website's link. Flavor traditional 'campo' life by hiking through the surrounding sierras along rivers, through farmsteads and up into the hills. Some great walks start from our gates so lace up your walking boots, grab a stick and if you fancy company... take our dogs! Gallop through fields of young fighting bulls with the lovely Nadia at nearby Reservatauro. She has horses for all levels with none your typical riding school hacks. A highlight for many of our past guests. The famous white villages including our favorites Grazalema and Zahara are 30 minutes away but Seville, Granada, Cordoba and Jerez are all possible day trips. Come back and cool off in our huge pool, fire up a BBQ and pour yourself an excellent local wine.